Your back is a complex structure, so you may not know exactly what to do if your lower back hurts. However, there’s an experienced physical therapy team that may have some suggestions for you. Our team at Panther Physical Therapy helps people in the northern Pittsburgh, Pennsylvania suburbs of Wexford, Allison Park and Harmony find the therapy they need. During our 15 years in business, we’ve helped people tackle many different kinds of pain. Our personalized plans use therapies that are effective specifically for your condition or injury. This means that we may be able to help you heal more completely and quickly than you ever thought possible. All of our therapy knowledge also allows us to offer you tips about what to do if your lower back hurts. Our team knows that it’s sometimes hard for you to know what to do if your lower back hurts. However, we’d like to offer you two tips that have helped us treat lower back pain for many of our patients. The first tip that we often give to our patients with lower back pain is to switch the type of cardio you do. Our team has noticed that doing regular cardio exercise means that most people do some form of running. The issue with this form of cardio is that it’s very high impact, which means it may be causing your lower back pain. 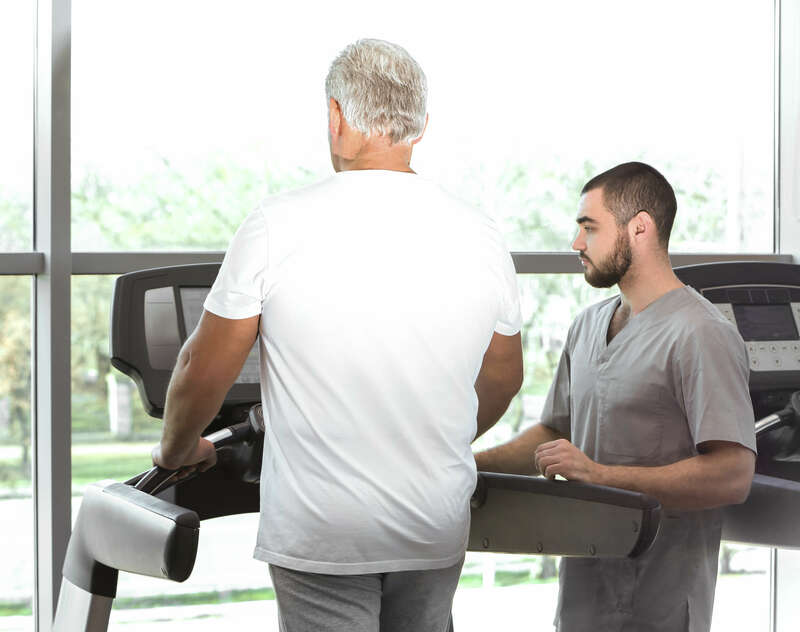 For this reason, we recommend that our patients switch to low-impact cardio exercises like treadmill walking. This is because we know that this type of cardio is easier on your body and may help your back to recover naturally. A second tip that our team offers to lower back pain sufferers is to stretch your back. We know that there are many muscles that support your lower back. When these muscles are too tight, they can restrict your back mobility, pull your spine out of alignment and cause pain. Stretching these muscles is something our team recommends to help reduce your back muscle tension. We also recommend stretches because they may help reduce your pain at the same time they’re reducing your back muscle tension. We offer you these two tips to help you with your back pain because they’re tips we suggest for our own patients. We even include the types of treatment our tips recommend in our personalized therapy plans for lower back pain. However, there are many other therapies and tips we can offer you that may help you figure out what to do if your lower back hurts.